Artwork | Limited Edition Prints | Found You! 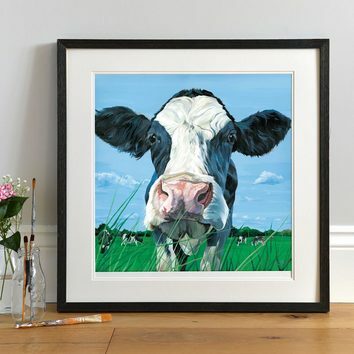 We always say it’s their curious personality that is one of the best things about cows and this Holstein was especially intrigued by the strange lady with the funny black box lying in the grass! This painting never fails to make me smile no matter how many times I see it! 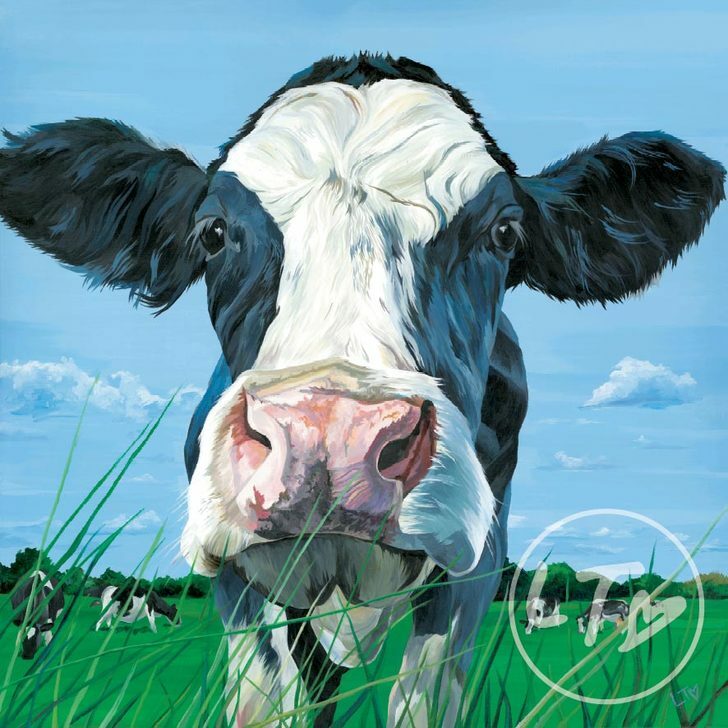 It sums up everything I love about cows, their radar ears that flick every time the shutter releases, their beautiful round eyes, a big wet nose, and they're instinctive nature to explore! I think what makes it especially funny is that the rest of the cattle in the field aren't interested in the slightest- well not yet anyway! 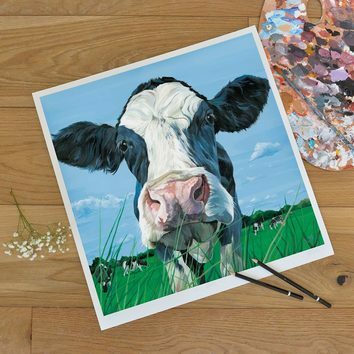 A great piece for those who love to see cows doing what they do best, roaming the countryside eating grass! When she's hanging in your home, you really will feel like, she has indeed, Found You!